The October PN/Escape 101 Promotion Starts Today! A few weeks ago, we featured local escape room company Escape 101 in our latest edition of Citizen Shoutout! And the crew at Escape 101 offered an awesome deal to all PuzzleNation users! 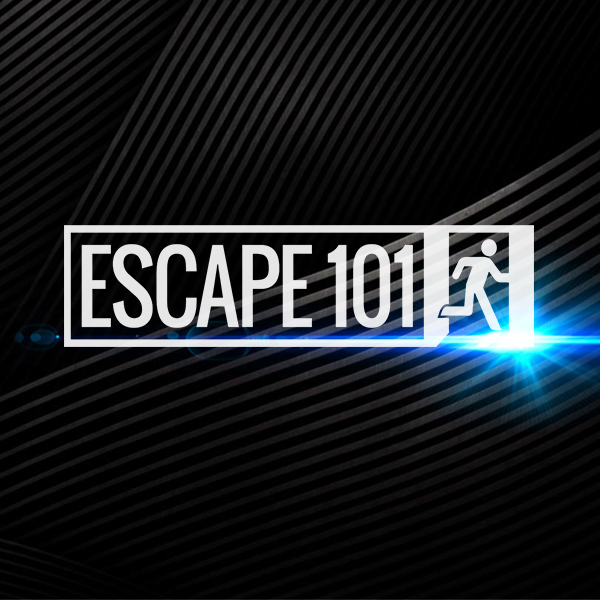 For the entire month of October, if you make a reservation for a room at Escape 101 and you have one of the PuzzleNation puzzle apps on your phone, you can show it to them at the door and they’ll give you a 10% discount on the entire booking! That’s right, whether it’s Daily POP Crosswords, Penny Dell Crosswords, Penny Dell Sudoku, or Penny Dell Crosswords Jumbo 1, 2, or 3, being a PuzzleNation solver will give you a discount on a terrific solving experience. You can check out more of the Escape 101 experience in our Citizen Shoutout post or on the Escape 101 website. They’ve got something for all skill levels. If you’ve never done an escape room before, the Ice Cream Truck room is the perfect introduction. And if you’re looking for a serious challenge, the Doomsday room will test your puzzly mettle. With those and two other rooms to choose from, you’re guaranteed to find the right fit for you and your fellow solvers! Enjoy! And let us know when you do! We’d love to hear from you! Heck, we might even see you there! Citizen Shoutout: Escape 101 Edition! 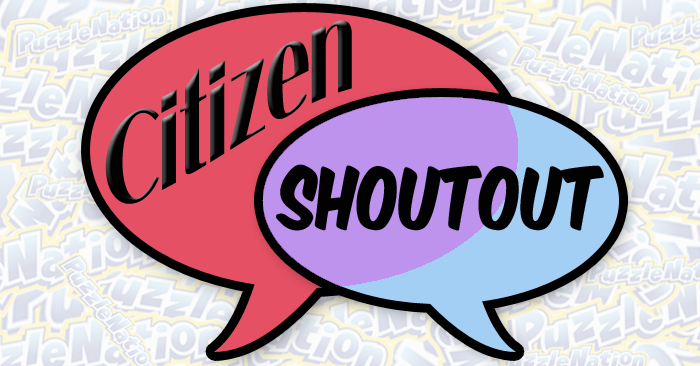 Welcome to the latest installment of our newest monthly feature on the blog, Citizen Shoutout! Each edition of Citizen Shoutout is an opportunity to say thank you. It allows us to put the spotlight on folks in the PuzzleNation community who contribute to the world of puzzles and games in a meaningful way. And in today’s edition, I’d like to highlight a local escape room that is delivering some marvelous puzzly experiences, Escape 101! 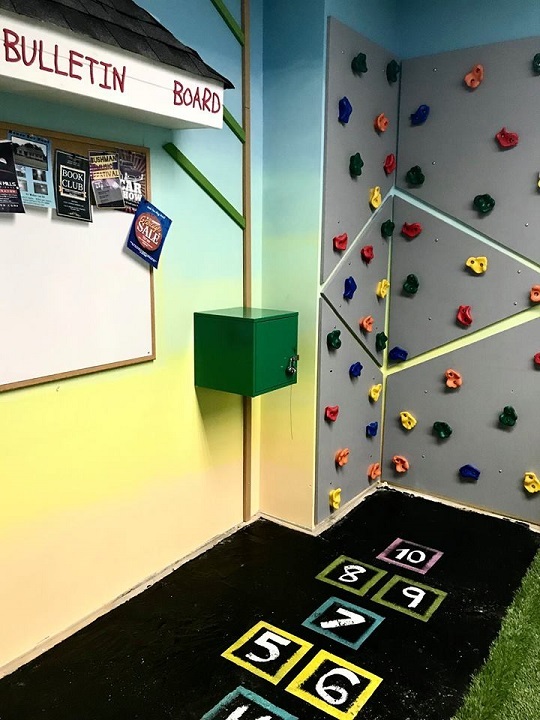 Located just off the highway and right by the Danbury Fair Mall in Danbury, Connecticut, Escape 101 offers some of the best, most immersive escape rooms I’ve ever had the pleasure of trying out. Every time the door is shut and the timer starts, you’re guaranteed a fun, challenging, wholly unique solving experience. You know you’re in for a quality challenge right away, as your Game Master gives you an opportunity to familiarize yourself with all of the different locks you’ll encounter in your chosen Escape Room. From combination locks and key locks to directional locks, and even a cryptex, they’ve got all sorts of diabolical tricks and challenges awaiting you, so make good use of your time before the room opens. There’s a quick instructional video, and then you and your group of solvers will decide how many clues you want for your Escape Room. Original: You get three clues and three clues only. Once they’re gone, they’re gone, and you’re on your own. Meet Me Halfway: You get more than three clues, giving you additional chances (at your request) to get past frustrating or confusing stumbling blocks while still giving you a fair chance to escape. Finish the Game: Your Game Master delivers unlimited clues and hints, maximizing your chances of escaping the room within the one hour time limit. Personally, I like “Meet Me Halfway,” because you can still set the goal of using no more than three clues, but you still have the opportunity to ask for more if you need them. It’s the best of both worlds. But what about the escape rooms themselves, you ask? Well, I’ve only tackled two of them so far, but I thoroughly enjoyed both experiences. The easier of the two was The Ice Cream Truck room, wherein you and your group find yourselves in a local park with a simple goal: collect enough money for all of you to hit the ice cream truck before it leaves! You’ll have to explore your environment, accomplish tasks, and help fellow parkgoers to accomplish your mission. If you’ve never done an escape room before, I think this is the perfect introductory room. The puzzles are fun and challenging without being overwhelming, and the very environment is soothing, which counteracts the pressure of knowing you’ve only got one hour to escape. 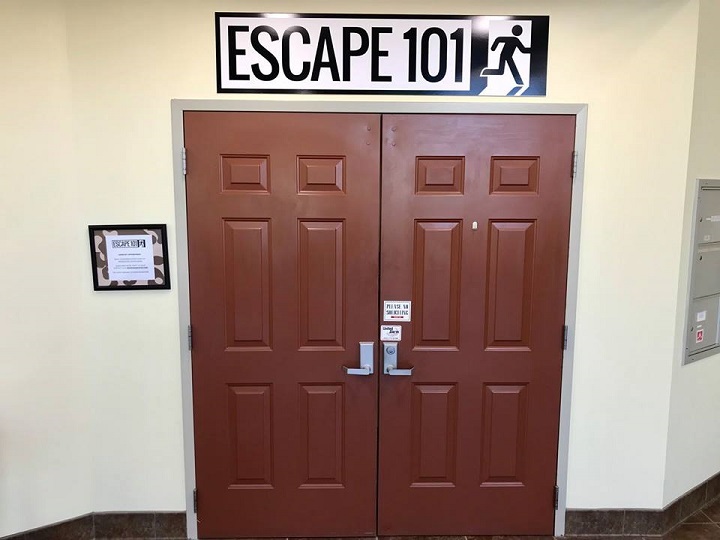 Of course, if you’re looking for something more challenging, Escape 101 has you covered there as well… with the Doomsday Room. The Doomsday Room is a combination office/laboratory for the mysterious Dr. Apocalypse. 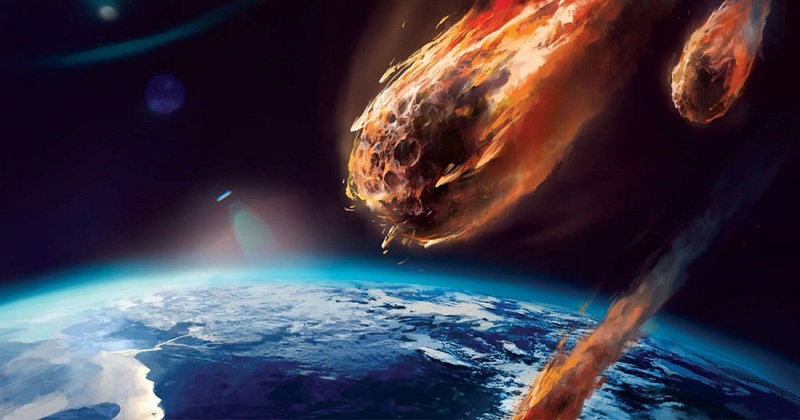 You and your group have snuck into his workspace in the hopes of escaping with a very important bit of information: the date of the end of the world. But Dr. Apocalypse won’t make it easy. You’ll need to explore the entire space, conduct experiments, show off your observational skills, and more in order to escape in the time allotted. It’s a genuine challenge, but a spectacularly fun one, even if you don’t manage to escape in time. And if that’s not enough to entice you to visit and test your mettle against one of their escape rooms, we’ve got something special just for local PuzzleNation solvers. Yes, for the entire month of October, if you make a reservation for a room at Escape 101 and you have one of the PuzzleNation puzzle apps on your phone, you can show it to them at the door and they’ll give you a 10% discount on the entire booking! Be sure to take advantage of this amazing offer, and let us know if you do! We’d love to hear from you! Thank you for reading our latest Citizen Shoutout. Writing this month’s edition has been great fun. But what about next month? I’m glad you asked. As always, I am happy to take suggestions from my fellow puzzlers and PuzzleNationers for individuals, groups, and businesses to highlight in each month’s post. So, if there’s a puzzler or designer who inspires you, a constructor who challenged you or surprised you with a puzzle, or someone who did something kind in a puzzly way, let us know! Maybe you have a favorite local game shop / hobby shop where you meet other puzzlers, or that introduced you to a favorite game. Maybe your local library held an event that piqued your puzzly interest. Maybe you’d like to give a shoutout to an escape room you think others would enjoy (like I did today), or to a puzzly event, like a scavenger hunt, a tournament, or a how-to solve event. Or maybe, you’d like to put the spotlight on someone who went above and beyond to make a puzzly experience truly memorable. You can submit your suggestions for the next Citizen Shoutout on Facebook, on Twitter, or in the comments section below. We’d love to hear from you.